After four successful editions of the Turkish Grand Prix held in Samsun on Turkey's northern coast, the event moved to the city of Antalya in the south of the country, on the shores of the Mediterranean sea. 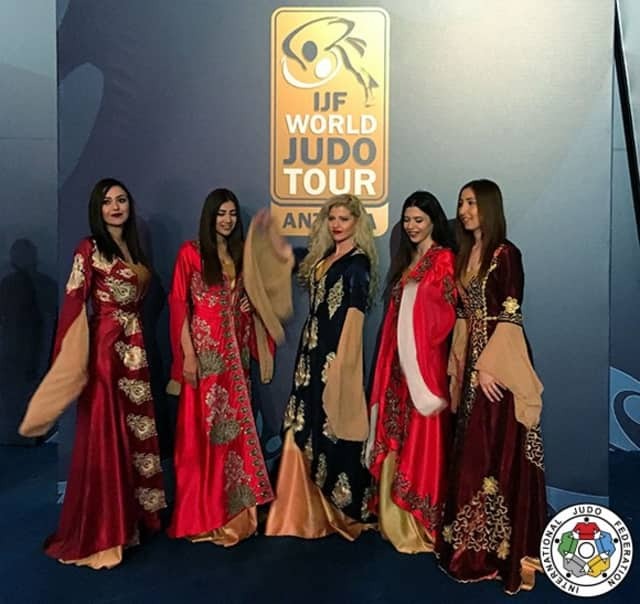 The official draw took place today in the Rixos hotel, just a few steps away from the Antalya Arena Spor Salonu (Meltem, 2. Cd. 6 P, 07030 Muratpaşa / Antalya) which will host the athletes throughout the weekend. 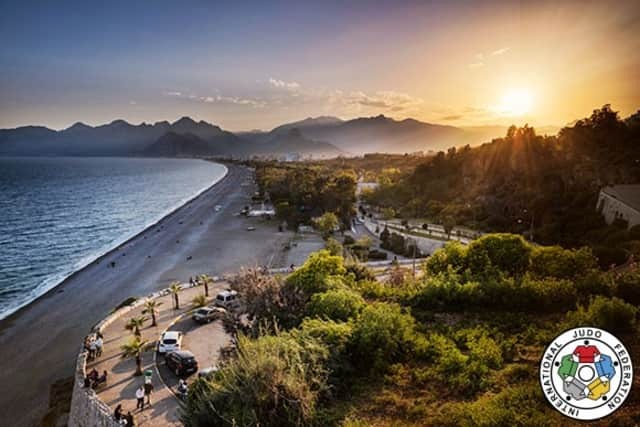 Over the years, Antalya has become the tourist capital of the Turkish Mediterranean coast, nicknamed the 'Turkish Riviera'. It is considered one of the most popular seaside resorts in the world with nearly 12 million tourists every year. 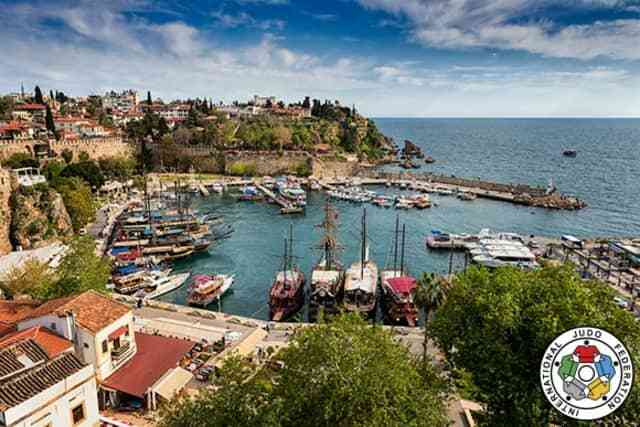 The old town of Antalya, Kaleici, stretches along a steep cliff below which one can discover an ancient port, transformed into a modern marina. With more than 2.3 million inhabitants, Antalya is an important urban center and since its foundation in 150 BC. AD, the city has always been inhabited. The IJF President, Mr. Marius Vizer, who will be present during the weekend in Turkey, delivered a message to all the delegations: “The IJF World Judo Tour is now in Turkey in its newest location as Antalya joins the global list of host cities. The three-day Grand Prix is the fifth event of the season and will command the interest of the city and the country as Turkey have shown great support to our sport and IJF initiatives. I believe that the Turkish Judo Federation will provide first-class hospitality and a world-class competition. Mr. Sezer Huysuz, is the new happy president of the Turkish Judo Federation. 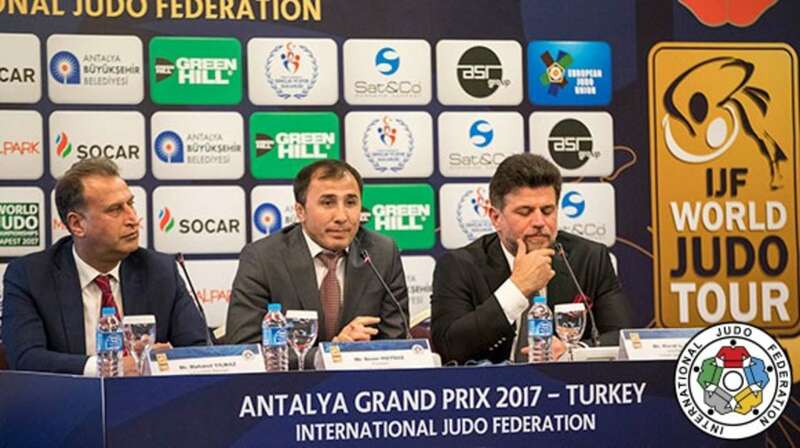 Elected in October 2016, he will, for the first time, officiate as the leader of Turkish Judo. A former -73kg athlete, Sezer Huysuz competed at the European and World Championships and participated two times in the Olympic Games. He was also a multiple Turkish national champion. Mr. Sezer Huysuz said: “The Grand Prix is a major event for the Turkish Judo Federation and Turkish sport. Such an event increases the value of our sport since it is seen as a preparation for Tokyo 2020 and it gives the athletes opportunities to collect points for the World Ranking List. 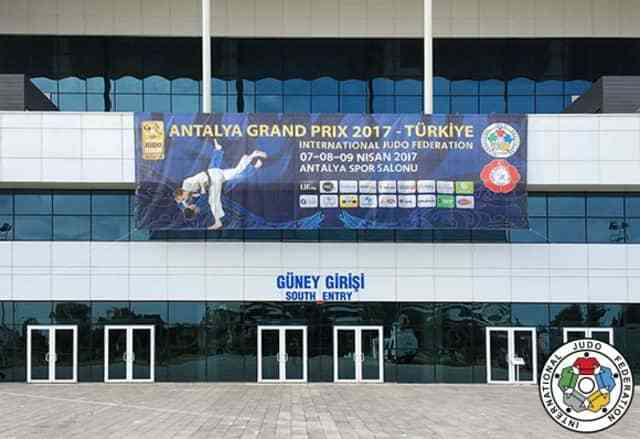 The Grand Prix is taking place in Antalya, one of the most favorite touristic destinations in Turkey and in the world. We are expecting great judo. 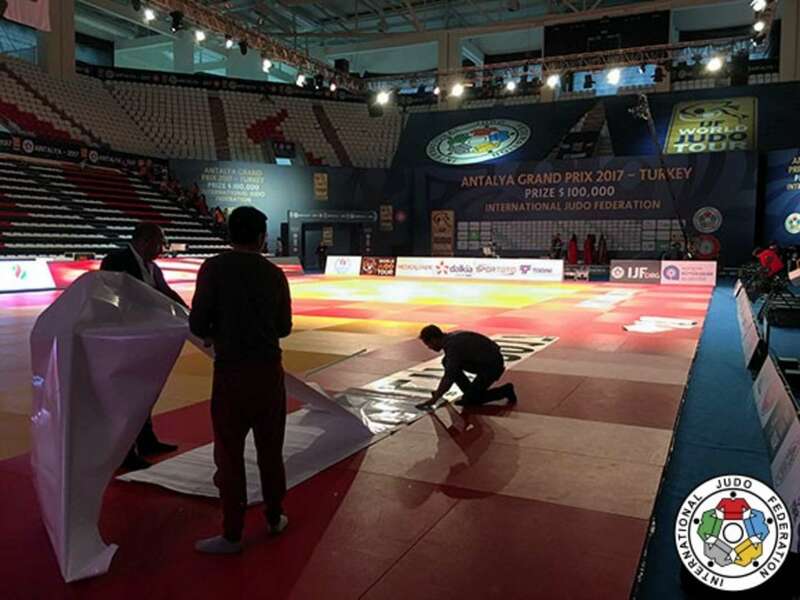 Moreover, being broadcasted live on TRT 3 over the weekend, the Grand Prix will help us to develop even further judo in our country. 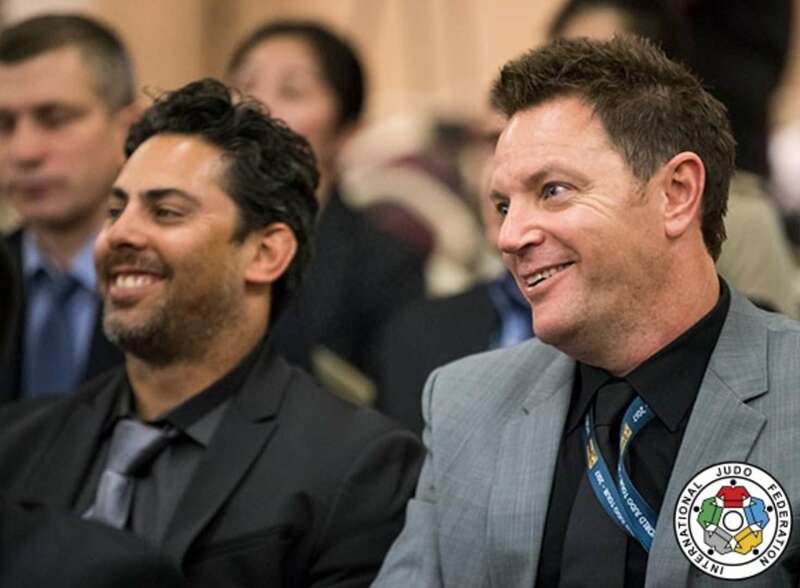 Mr. Mohamed Meridja, IJF Education and coaching director welcomed the 34 heads of delegation, representing 253 athletes (156 men, 97 women), in the name of the IJF President, Mr. Marius Vizer. The technical aspect of the draw was led by Mr. Vladimir Barta, IJF Head Sport Director, assisted by Mr. Daniel Lascau, IJF Sport Director. Mr. Barta said: “It is a real pleasure to see that a former top athlete, like Mr. Sezer Huysuz, has now become a top leader of an important judo federation.“ Before the end of the draw, Mr. Jan Snijders, IJF Head Refereeing Director, explained with details what are the important criteria that the referees and the experts are going to look at during the weekend, the main goal being to promote ‘positive judo‘. To raise awareness of the potential of sport to help for development and peace, 6 April was declared as the International Day of Sport for Development and Peace (IDSDP) by the UN General Assembly. The adoption of this Day signifies the increasing recognition by the United Nations of the positive influence that sport can have on the advancement of human rights, and social and economic development. On the occasion of the 2017 International Day of Sport for Development and Peace (IDSDP) on 6 April, the United Nations Office on Sport for Development and Peace (UNOSDP) launched the digital campaign #WePlayTogether to encourage organizations and individuals who support or carry out sport for development and peace activities to partake in the commemoration of the IDSDP. The campaign invites participants to share a picture on social media that represents for them the “power of sport to promote peace, unity and inclusion”. 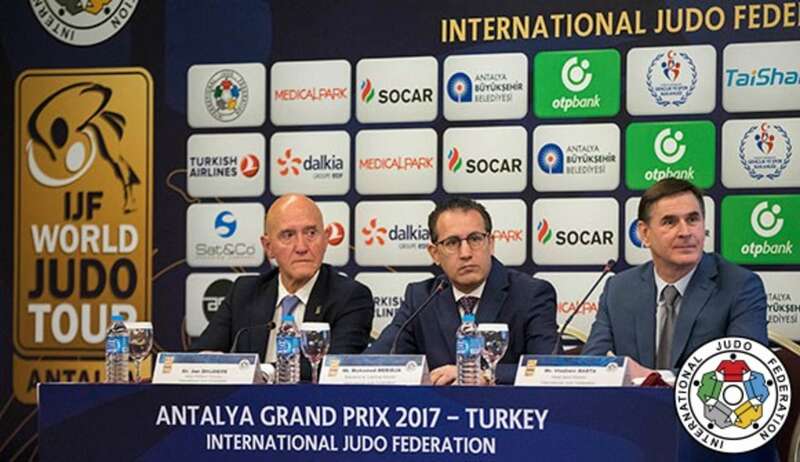 The international judo community celebrated today the IDSDP on the occasion of the official draw of the Antalya Grand Prix. The International Judo Federation is very active in building a better society through its Judo for Peace and Judo for Children programs. Two years ago, the IJF was awarded with the “Creative Sports Award” for its project in the Syrian Refugee Camps in Kilis.